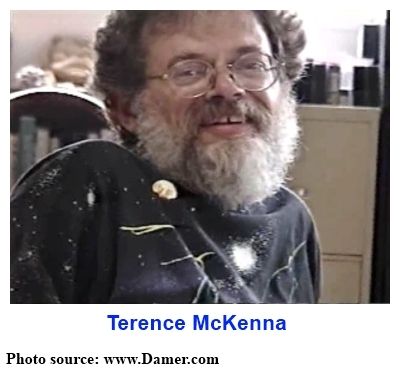 Posted in Culture, Evolution, Language, Myth, Terence McKenna (mp3). It was intersted to hear this, i felt like i learned more from terrence proposing a bunch of what ifs on philosophy. Then from a narrative lecture of facts on a certain subject. He most likely says “eye-phones”, not Iphone, meaning you cover your eyes with some sort of visual aid, not for plugging into your ears. Really cool podcast thank you. What if reality does not exist? It could still be a reality, but there is no proof of reality as a builder until you see how it builds. After non-reality comes normal life. This is what usually is forgotten. That memory can be a way to map reality, but it cannot be reality, as long as reality is non-existing. This is where he goes off limits in all aspects and I just am amazed how good a talker and meditator McKenna is. Real reality could thus be memory as I am writing it. But if you have big reality in mind, then you’ll have to become one with your memory or just see it working, without fear that it will fail. First half one of the best I’ve heard in ages!